Access physical activity grades, report cards and other related documents from all Global Matrix events in which Ghana has participated. Conduct a pilot research on barriers and enabling practices to physical education and sport implementation in schools (This study is in progress and funded by UNICEF and with collaborative support from the Ghana Education Service). Implement existing policy guidelines for physical education and sport in schools (we have developed a very good national policy guidelines for physical education and sports, but implementation is seriously lacking). Develop a robust monitoring and surveillance mechanism to generate quality data on physical activity and related behaviours. Reginald Ocansey, Ph.D.Reginald T. Ocansey graduated from the Specialist Training College, Winneba, Ghana (now University of Education, Winneba, Ghana) with a 4-Year Teacher’s Diploma Certificate in Physical Education; the Alabama State University, Montgomery, Alabama, USA with a Master of Education Degree in Teacher Education and Physical Education; and The Ohio State University, Columbus, Ohio, USA with a Doctorate Degree in Physical Activity Education, Teacher Education and Behavior Analysis. Now Professor Emeritus and a specialist in physical activity, teacher education, curriculum/instructional design and evaluation. He is the Director of Research and Education at the Active Living & Wellness Alliance Group, Nungua, Ghana; a Part-time teacher at the University of Education, Winneba, Ghana; and Director of the Joint Narh-Bita Hospital-Ghana Football Association Medical Assessment and Research Center, Prampram, Ghana. 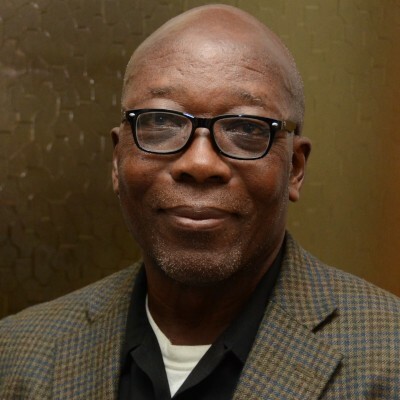 He is a member of the American Alliance for Health, Physical Education, Recreation, and Dance (AAHPERD), USA, a member of the American College of Sports Medicine (ACSM), USA, founder of the Ghana Physical Education and Sport Thinktank (GPEStt™) and the Active Living and Wellness Alliance Group (ALWAG™), Ghana. He is Principal Investigator (PI) and Ghana Representative for three International Research & Advocacy Groups including; (i) Active Healthy Kids Global Alliance, (ii) Global Observatory for Physical Activity, and (iii) Walkable Communities and the Built Environment for Physical Activity. Several peer-reviewed publications have emerged from his leadership and disseminated through conference presentations seminars and workshops at national, continental and international levels. He was the Director of Teacher Preparation-Physical Education at the University of Virginia, Charlottesville, USA from 1986 to 1989. He spent the bulk of his years in tertiary education (1989 to 2007) at The College at Brockport, State University of New York, USA. During these years, Professor Ocansey maintained mutually beneficial international relationships between tertiary institutions in Ghana. He taught in both the USA and Ghanaian universities- namely, the University of Education and the University of Cape Coast. Faculty and students from the University of Education, studied at the masters level (both home and overseas) under The College at Brockport-University of Education Collaborative initiative he established since 1990. He is the architect of graduate study at the University of Education. In his early years in Ghana, he played on various field hockey teams and occassionally featured on the national team. He taught and coached at Mfantsipim School (1974-1976) and the Sports Council (1976-1978). At Mfanstipin, he was a physical education teacher. When he became a Sports Council employee, he worked at the regional office at Cape Coast where he unearthed young talents in hockey through innovative grassroots children and youth empowerement programs. He heightened grassroots development of hockey in the country during his era at the Sports Council. He occassionally coached the national women’s hockey team during his era with the National Sports Council. Professor Ocansey retired from active service from The College at Brockport, Sate University of New York, USA in 2007. Since 2007 he has worked as Rector at the University College of Entreprenuership in Accra, and Director of the Narh-Bita College School of Exercise Medicine, Sports and Wellness. "Ghana has demonstrated commitment to promote and support the ‘movement to move’ as best as it can for the past 5 years - through participating in AHKGA Global Alliance. We are reaching more instructors, children and youth, researching barriers to participation and providing ways to minimize the barriers. Our fresh cadre of physical activity instructors are passionate and inspired to get children active. It is clear that GM 3.0 influenced the study on barriers to implementation of physical education and will certainly ignite interest for effective implementation of physical education policy waiting to take-off on two feet!" - Reginald Ocansey, Ph.D. and Vida Nyawornota, M.Phil. Nyawornota, Luguterah, Assasie, Donkor, Dougblor, and Reginald are with School of Education and Leadership, University of Ghana. Aryeetey is with School of Public Health, University of Ghana. 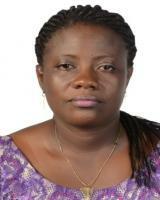 Badasu is with the Regional Institute of Population Studies, University of Ghana. Nartey is with Kenyatta University. Sofo is with Southeast Missouri State University. Nyawornota (VKorlekiNyawornota@ug.edu.gh) is corresponding author. It is recommended that children aged 5 to 17 years should accumulate at least 60 minutes of moderate- to vigorous-intensity physical activity (MVPA) daily. However, there is limited empirical evidence on how much physical activity Ghanaian children and youth engage in. Yet, when children and youth fail to achieve the minimum recommended physical activity levels, they are at risk of adverse health consequences. Experts from various sectors related to physical activity were identified and formed the Ghana Report Card Working Group that gathered data and information. A combination of manual literature search, document review, and systematic evidence gathering for relevant information spanning 2016 to 2018 was conducted. Grades were based on the best available evidence. Sources included policy guidelines, peer-reviewed published literature, and gray literature including reports of government and nongovernment institutions. While all 10 indicators were assigned a grade in the 2018 Ghana Active Healthy Kids Report Card, research gaps, policy and monitoring issues remain to be addressed to better inform the grades. A more robust assessment, for example, keep-fit club membership statistics, would assist in providing a more complete picture of the physical fitness of children and youth in Ghana. At present, many keepfit clubs abound in the country but without an objective monitoring or surveillance system. Grades and justifications for all 10 indicators are shown in Table 1. Expert observations reveal that the proportion of Ghanaian children who achieve the World Health Organization recommended amount of physical activity is low. The mandate of the Ghana Education Service of at least 80 minutes per week of physical education in schools must be enforced, monitored and schools held accountable for compliance. Due to the associated health consequences, particularly in adulthood, a more coordinated strategic approach to physical activity promotion is necessary to increase physical activity levels for better health. Overall Physical Activity C Literature and documentation of physical activity levels is still minimal as reported in earlier Report Cards. However, expert observations of various forms of physical activities that children and youth engage in (for example, school sports and physical education, walking and cycling to school, weekend keepfit activities, games) revealed approximately 48% of children and youth engage in some form of MVPA. Organized Sport and Physical Activity Participation C+ 54% - 59% of children and youth are engaging in organized school-based sports classified as inter-zonal, inter-district, inter-regions and national sports festivals. These are in addition to recreational sports organized by non-government organizations and communities. Active Play B- Based on the 2017 Right to Play report, it is estimated that 60% of Ghanaian children and youth engage in various forms of play-based activities at school, home and in open spaces around the 216 districts in the country. Active Transportation C+ About 54% of children and youth, especially those in the rural areas, walk to school and back home covering about 2km. Sedentary Behaviours INC There was no data to describe children and youth's sedentary behaviour and/or screen time per day. Hence, the indicator was graded as incomplete (INC). Physical Fitness INC There are over 500 keepfit clubs in Ghana. Although many children and youth participate in their activities, there are no data to describe children and youth's physical fitness levels. The indicator was graded as incomplete (INC). Family and Peers F No additional data exist to support grade adjustment, so the 2016 grade was maintained. School D There is an evidence of progress with the Physical Education and Sport as indicated in the National Teacher Education Curriculum Framework 20185 and the Physical Education and Sport Implementation Guidelines endorsed by government. This framework seeks to improve physical activity and sports in the country among children and youth. Community and Environment D+ Creation of 46 community day senior high schools in 2017 resulted in provision of modern school infrastructure that provides a safe environment and promotes physical activity for the school children. Government D The Physical Education and Sports implementation guideline 2018, the Physical Education and Sport Strand 2018, the National Teacher Education Curriculum Framework 2016, and the new Physical Education and Sports curriculum has been developed to be implemented in the 2018/2019 academic year in the Colleges of Education in Ghana, constituting some evidence of government strategies. Background: The purposes of the 2016 Ghana Report Card (RC) are to assess; (i) behaviors that contribute to overall physical activity (PA) among children and youth, (ii) the built environment and sources of influence, and (iii) strategies/investments available for PA. Evidence in PA is persistently lacking and not having adequate geographic coverage. Despite the high prevalence and growing rate of obesity,4-6 there is limited evidence on PA behaviors demonstrated by children, in the context of school physical education (PE) and after-school programs. Mechanism for routine monitoring and surveillance of school or community-based practices/programs does not exist. Methods: Data for the 2016 RC were obtained through survey of opinions of key stakeholder experts across public health, sports science and the basic school system as well as available literature (peer-reviewed and grey). Additional opinions were obtained from the RC PA team experts who independently assigned grades to RC indicators. Both grades from the stakeholder and RC team experts were harmonized. Thereafter, a consensus meeting of the RC PA team experts harmonized grades based on best available evidence. Results: All the RC indicators were graded based on meager evidence. Active Transportation was average (C) while Active Play emerged with the highest grade assignment (B). Four of the indicators (Sedentary Behavior, School, Government and Overall PA) were assigned grade (D). Three indicators (Family and Peers, Community & the Built Environment and Non-Government) were assigned grade (F). Conclusions: Approximately 40% of Ghanaian youth accrue inadequate levels of PA. Over 60% were engaged in inadequate amounts of PA. Careful monitoring and surveillance of PA behaviors and enabling environment are needed to inform policy and programming.